Electrical vehicles are the best way to go in these modern times. It is the most eco-friendly solution out there and cheapest one. Maintaining and driving is cheaper too, but unfortunately a temporary bump on the road for electrical vehicles is the battery charging. There are a lot of apps which show EV charging places on the map and you can always calculate your route and do the charging at home; but it is good and useful to know the places where you can charge your EV. Because of the high traffic in supermarkets they provide their customers with solutions for each situation and vehicle. On the parking lot, EV chargers can be found. This is a good place to charge. You can do two things at once. Shop for your favorite necessities and charge your car. The best hotels provide you with every kind of service as banquet hall ceremonies and spa centers. Look for that kind of hotels. These are the ones with 5 star ratings and the ones who can provide you with an EV charger. It is a good thing to know if you are travelling or going on a business meeting or celebration. Some of the best restaurants take care of the customers which drive an EV. Doesn’t matter if it’s an Italian restaurant, a French one or just a burger joint as McDonalds; if their service is complete, they will provide you with an EV charger. Check with the restaurant before going there or search for those kinds of places online. Most airports have EV chargers on their parking lots. They are providing us with the most sophisticated way of travel, so it would be kind of ridiculous if they don’t provide their travelers with the most sophisticated way of vehicle charging. 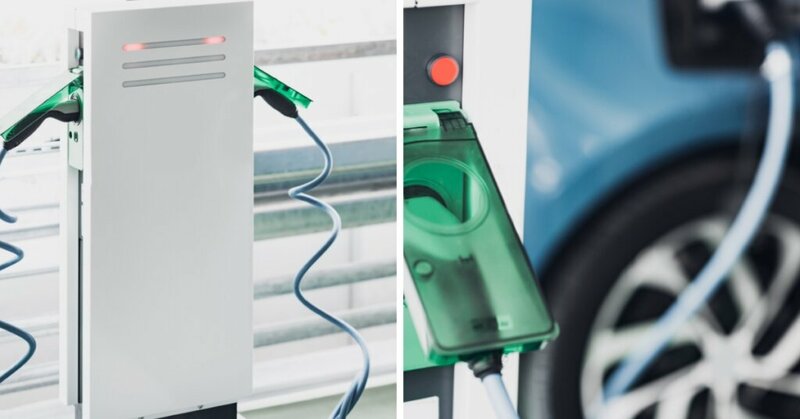 If you live in a city which follow latest technology trends, then it is probable that you will find EV chargers in most parking lots. Especially where a lot of people park their cars, as in the city centers, banquet halls, or in front of the big offices. Note: If you have your own office and you want to enlarge its business as its office space then you may want to consider installing your own EV charger in the parking lot in front. Invest in a permit and an EV charger. A pretty big investment for little money. This will make you stand out from your competitors and be more eco presentable which is a great way to attract some more attention to your firm.